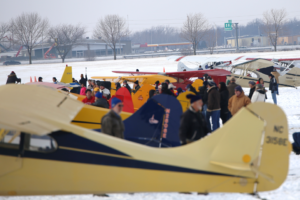 February 15, 2017– The current lack of snow in Oshkosh and absence of it in the forecast has forced some changes for the annual EAA Skiplane Fly-In scheduled for this Saturday, February 18, at EAA. 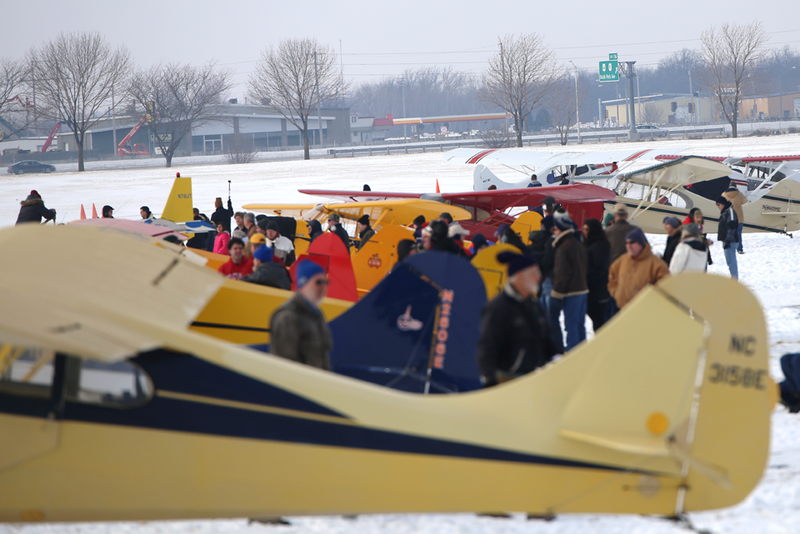 Because of the unseasonable conditions, there will be no skiplane operations during the popular EAA winter event. However, the Pioneer Airport hangars will be open free of charge from 10 a.m. until 1:30 p.m, allowing attendees to explore the more than 30 airplanes on display at the facility, which is usually only open from May through early October. Complimentary soup and treats will also be available. This special winter event actually celebrates the unique flight segment of skiplane flying, and the anniversary of the first-ever meeting of the Experimental Aircraft Association on January 26, 1953, at Wright Field (now Timmerman Airport) in Milwaukee, Wisconsin. The event begins at 10 a.m. and runs until 1:30 p.m. Most skiplanes arrive (weather and runway conditions permitting) mid-morning and stay until mid-afternoon. In the event weather or snow conditions do not permit aircraft arrivals at Pioneer Airport, several other activities will continue as planned, including complimentary chili and cake beginning at 10:30 a.m. This event usually draws more than 30 skiplanes. Pilots who would like to participate are required to receive approval by contacting EAA’s Olivia Rasmus at 920-426-6599 or at orasmus@eaa.org. Pilots will receive a briefing packet in mid-January for arrival and departure procedures. 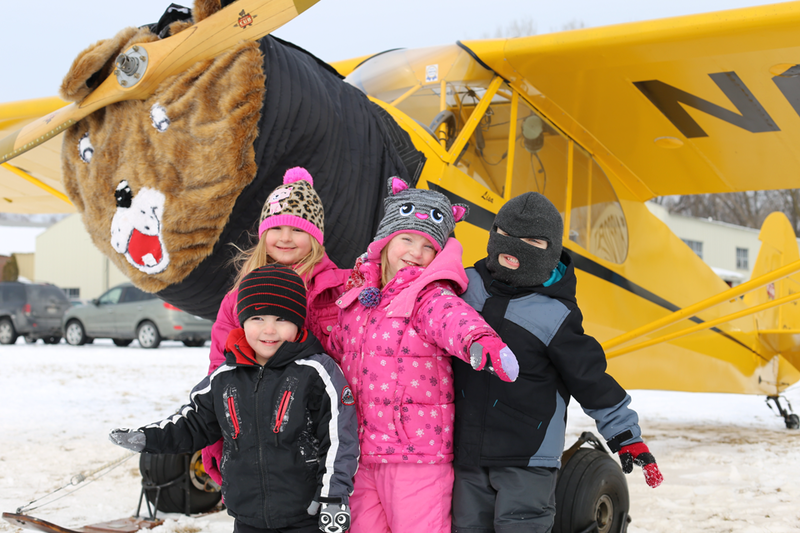 Admission to attend the skiplane fly-in is free of charge.Signs will direct visitors to the skiplane area upon arrival to the museum. Shuttle services will also operate from Basler Flight Service for those landing at Wittman Regional Airport. We welcome non-fliers to join us as well; enter through the museum parking lot and look for signage directing you to parking near Pioneer Airport.